So that was my week. Really looking forward to all these books! Let me know what you got this week so I can add them to my list! And just a reminder, Suzanne Young and Hannah Moskowitz's Awesome Contest of Awesomeness ends on Monday. These are some one of a kind prizes you can't recreate, so make sure you enter! Details are here. Since when do the dead send emails? Kate Lowry's best friend Grace died a year ago. So when she gets an email from her, Kate's more than a little confused. Don't tell. They'll hurt you. A beautifully crafted mystery with plenty of emotion and humor along the way, The Liar Society puts a stellar twist on the aftermath of losing a best friend. A protagonist that is completely relatable and sympathetic, a charming love interest, and a well written cast of other characters set the stage, but the mystery itself drives things in bold ways. With strong writing, a great voice, and plenty of unexpected twists, there is plenty to connect the reader and pull them in from page one. Kate is a fantastic protagonist, hung up on the idea that her best friend’s death wasn’t really the accident it had been ruled as. Now a loner, and clinging to small and heartbreaking bits of hope, Kate finds herself suddenly immersed in the idea that maybe Grace really is alive. Even with the sorrow that surrounds her, Kate is funny and sarcastic, and a very relatable and likable character. She is a very strong girl, despite her weaknesses and fears, and sticks to her gut instincts in even the most trying of situations. Her changing views, opinions and even attitudes towards other as the plot progresses is completely seamless, with some clear transitions and some that just happen subtly but powerfully. Seth is Kate’s neighbor and about the only friend she still has. Despite his crush on her, Seth also just wants her friendship and the way these two interacted is so fun to read. While Kate doesn’t always treat him great, and he makes her more than uncomfortable at times, Seth has a fairly constant and enjoyable presence throughout this book. He drives the plot in a few places, and his obsession with conspiracy theories and his intelligence come in handy more than once. Liam is a swoonworthy, lovable love interest, persistent in his chase for Kate and so suave at times it’s just the right amount of cheesy that is guaranteed to make a girl grin. Despite the initial attraction to him (for both the reader and Kate), it’s clear he does have some secrets, and the Roeckers navigated this realistically and fully. Liam has the bad boy vibe going on from the start, that gets strong in some places and weaker in others, but is such a sweet guy at his core, with plenty of redeeming and amazing qualities about him. The rest of the characters are primarily centered around the private school Kate attends, which makes for a great setting. There isn’t a pressing sense of entitlement overall at the school, which is a refreshing change from many private school settings. The full explanation of the school’s history and layout is slowly told, creating a very lasting and clear picture in the reader’s mind. On top of this, the clues of the main mystery and to finding out the truth about Grace are scattered throughout in such a brilliant way, some of which the reader can put together while others stay cloaked in ambiguity. Even when the hoards of questions that are built throughout the book are answered, it is done smoothly without feeling like a data dump or overload. The plot has a bold pace, with the mystery driving everything but plenty of action, emotion, and even adventure thrown in to keep the reader engaged from the start. The romantic angle adds a lot to the plot without being distracting, and the overall playout of everything is so realistic, even if frustrating (in a good way) at times. Things don’t just happen in this book, nor does everything fall in Kate’s lap, and the Roeckers kept to that notion for an overall very powerful book with a fun and amusing backdrop. Add in the smooth writing, the rich voice, and gorgeous descriptions, and this one hits it out of the park across the board. The Roeckers have a way of playing on small what ifs and maybes just enough to make the reader unsure about any theories they might come up with. They also build the explanation of that past, giving the reader a full view of Grace despite her presently being dead, and also show Kate in clear categories of Before and After. Add in the spot on characterization, the overall mystery, and the actual playout of everything, and The Liar Society is addictive and amazing. 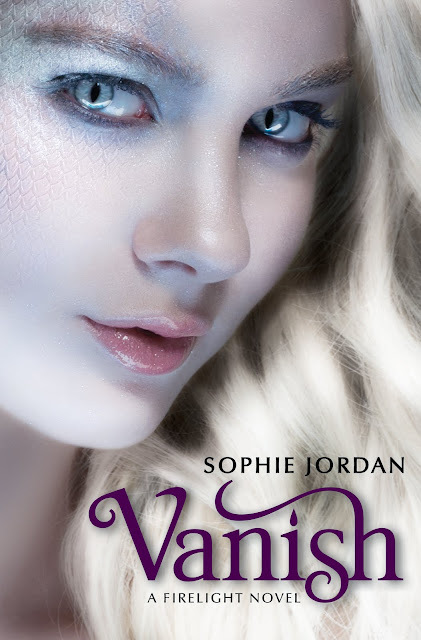 Vanish by Sophie Jordan Cover Reveal (Plus Firelight contest)! We teased you all day yesterday with glimpses of Sophie Jordan's Vanish cover, but now you finally get to see the full thing! And since I know that's what you're here for first and foremost... here it is! Isn't it completely gorgeous?!?! And yes, that is the same model as Firelight. Now how many questions does that raise? As if I wasn't already dying for this book, now there's the cover to drool over. And maybe make out with. So now that we've stared at that and gotten a better idea of what kind of awesomeness is in store for us, and stared a little more, pull your eyes down here because you can enter to win one of three signed copies of Firelight (Yes, the first book. ARCs for Vanish aren't ready yet to be prizes). To enter, make sure you visited the six awesome blogs who posted the teaser pictures yesterday, because they also each posted a word. You have to collect those six words to enter the contest, and if you unscramble them in the right order, you'll get an extra entry. Hint: It's the book tagline, and it's three sentences with two words each. Fill out THIS form to enter. This IS the same form as on Books Complete Me and A Fanatic's Book Blog, so only enter ONCE, no matter what blog you enter through. Comments are more than appreciated- tell Sophie your thoughts on the cover!- but no entries will be accepted through the comments. Contest is US/Canada only, and ends Sunday, March 6. The correct tagline will be announced with the contest winners. Now go talk about the cover... tweet about it... post about it so your followers can see it. And then join me in dying for the actual book to find out what's going to happen. Dropping in today is Savita Kalhan, author of the thriller The Long Weekend, a book about two eleven old boys who are abducted after school on a Friday afternoon. It's a great book, so be sure to pick it up, but first, check out this list of some of Savita's pet peeves and see if you share any of them! And yes, she gave a full dozen instead of ten because she's just that awesome. 1. I really don’t like telling people I’m a writer because the usual response is invariably: “Are you going to be the next J K Rowling?” or “When are you going to write proper grown-up books?” Personally, I love writing for kids, teenagers and young adults and I have absolutely no problem with that. I wish more people would read them – they don’t know what they’re missing! 2. There is a particular fake forced cheery tone that some people I know use, which really gets up my nose! Eg: “Oh daaarling, how are you? I’ve missed you sooo much...” I think you get the idea! 3. I hate it when people stand about chatting or dawdling in an aisle or gangway or corridor and blocking it up so no one can get past. That’s partly because I’m always late so always in a hurry and rather than be rude and shove past, I stand around politely trying to make myself heard. 4. I really, really hate to see people using their mobile phones when they’re driving – it’s so unnecessary and so dangerous. They even sell hands-free kits in all the shops. There’s no excuse for putting other people’s lives in danger. In my area a lot of women driving four-by-fours with lots of kids in the back are particular culprits – there’s no need to put your kids at risk to say hello to someone on the phone. 5. Badly parked cars – there’s nothing more annoying than someone who takes up three spaces when they only need one in a busy car park! 6. People who never seem to finish a sentence before starting another (my husband is a particular culprit), especially when they’re explaining something you’re interested in! 7. The neighbour’s cat really annoys me when she uses my beautifully planted pots as a loo! 9. I hate it when people put empty cartons, boxes, wrappers etc back in the cupboard or fridge! I like to know what I’ve got in and what I haven’t and what I need to replace. I hate running out of things. Sorry for sounding like Monica Geller about it! 10. Speaking of Monica Geller – I used to like Friends, but I can’t bear it ever since my thirteen year old developed an obsession with watching the re-runs on TV two years ago. I think he’s watched every single episode at least three times. I jokingly called it wall-paper for a while, but now the walls are seriously over-due a revamp! 11. Another driving one – people who don’t get into their lane when they’re turning off a main road and end up blocking the whole road for people who want to carry straight on. 12. I hate seeing the corner of a page folded over in a book to mark a page – I’ve never, ever done it. I always use a bookmark – I have zillions dotted around the house. Old cards also make excellent bookmarks! Thank you, Savita! I have to admit, some of those I agree with... and I might have laughed a little about the cat. Now for your chance to win a copy of The Long Weekend, just fill out THIS form! Contest IS international, and ends March 2! This week's pick is But I Love Him, by Amanda Grace and coming May 8 from Flux. Summary: Tonight was so much worse than anything before it. My Thoughts: This one sounds so potent and gutting and filled with emotion. Just reading this summary, I already feel so much for Ann... but I also want to know Connor's story. Is it just a temper gone too far, or something else? I want to know everything that drives both sides of this story, and I want to know if Ann is okay in the end. I adore contemporary, and this one really seems to hold all the gritty, rough stuff I love. And I really love this cover, so simple but catching, and the heart is something I could stare at for a long time... and just might hold a whole lot more meaning after reading the book. A Touch Mortal releases today! And to celebrate, author Leah Clifford is here today to answer a few questions for me. Granted, these aren't quite your normal questions, but she's here all the same. What flavor of ice cream would you describe your book as? Dark chocolate. Very VERY dark chocolate. If you could blast your nemesis with flaming pickles or frozen anchovies which would it be? Frozen anchovies because I think they would hurt more? If you had a million dollars and had to spend half of it on other people how would you spend it? ...on other people. Um, I would rent a jet and fly a bunch of random winners on a trip across the United States at sunset on the Fourth of July, because when I was a flight attendant, I got to do that and see dozens of grande finales from above. It was awesome. If you could do something totally out of character for yourself what would it be? I would go see more plays or ballets. I love them, but I hate driving into the city, so I never go and no one around here ever really wants to go. What book would be your book's best friend? Angelfire by Courtney Allison Moulton, because Courtney's Ellie and my Eden could get together and talk about their boy drama. Probably a Greek god of some sort because they're super crazy and I'm super crazy. Where's Waldo, and what did he lose this time? With Carmen Sandiego and he lost Rockapella. It was tragic. You're locked in a closet with the boys from your book! What do you do? Hypothetically speaking, and assuming you won't get caught or face consequence, what crime would you commit? I would rob a bank, because honestly, that is badass. I would also ride away on a horse. So. Badass. Then, I'd give the money to orphaned children and stuff. Alright. Fess up. What hottie famous person is chained to your bed? I would chain Houdini to my bed, because I know he'd be gone by nightfall and I like to sleep alone. Thank you, Leah, for those fantastic answers, and congrats on the debut release! Make sure you guys run out and pick up A Touch Mortal, out today! But in the meantime, I have some awesome signed bookmarks and stickers from Leah, and two lucky commenters will win some! US/Canada only, and only comments received by March 1 will be entered. Here today is Jazz in Love author Neesha Meminger to share a few songs that would be on the book's playlist. You can get an idea of the themes and ideas in this book from this playlist, plus they are just great songs. Dhoom Machale, from the Bollywood film, Dhoom! Thank you, Neesha! Make sure you guys check out Jazz in Love, out now! Summary: Jasbir, a.k.a. Jazz, has always been a stellar student and an obedient, albeit wise-cracking, daughter. Everything has gone along just fine--she has good friends in the "genius" program she's been in since kindergarten, her teachers and principal adore her, and her parents dote on her. But now, in her junior year of high school, her mother hears that Jazz was seen hugging a boy on the street and goes ballistic. Mom immediately implements the Guided Dating Plan, which includes setting up blind dates with "suitable," pre-screened Indian candidates. The boy her mother sets her up with, however, is not at all what anyone expects; and the new boy at school, the very UNsuitable hottie, is the one who sets Jazz's blood boiling. When Jazz makes a few out-of-the-ordinary decisions, everything explodes, and she realizes she'll need a lot more than her genius education to get out of the huge mess she's in. Can Jazz find a way to follow her own heart, and still stay in the good graces of her parents? I know I made my Top Ten Reasons to Buy A Touch Mortal post earlier, and hopefully it convinces you to buy the book. But this post is, honestly, for Leah herself. I think she is a fantastic person and author, and I adore her book in so many ways. So this is one of those book related but also sort of personal posts, because I've asked Mary Lindsey, debut author of Shattered Souls that comes out later this year, and who is friends with Leah, to write up a little something for her. There’s a fantastic debut young adult novel coming out on Tuesday, February 22nd: A TOUCH MORTAL by Leah Clifford. Lots of blogs are going to come out with reviews and information about the book over the next few weeks, but the thing about this debut that has me so excited is the author herself. I’m going to keep this post really short in an effort to not be gushy and humiliate myself. Leah Clifford is one of my favorite authors for many reasons; but primarily because of who she is—or rather what she is. 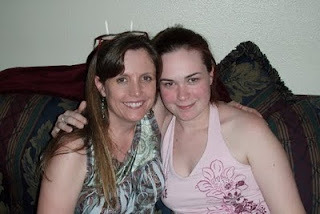 I had the good fortune of meeting Leah in person when she visited Texas a while back. And though I’m still bummed I didn't get to go with her when she got her writer tattoos as promised *wink*, I had a great time just hanging out with her. Leah Clifford is more than a skilled writer; she’s generous. She donates a great deal of time giving back to the writing community. She’s the global moderator over on the QueryTracker forum, which is no tiny task. She offers advice and guidance for new writers without skirting the real issues and roadblocks of the business. Leah works hard. She set out to become a published author, and though it didn't take her decades to sell her first book, it wasn’t an overnight success or blind luck scenario either. Leah researched the industry and her craft and worked—then, worked some more. She’s supportive and responsive which goes a long way with me. No games. No fakeness. She props other authors up with genuine encouragement and a shoulder to cry on. Like I said: she’s real. So as her release date gets closer, I not only celebrate her debut novel, I celebrate Leah Clifford herself. Congrats, girl. You earned this and all successes to follow. Thank you, Mary, for that post... and Leah, congrats girl! And for all of you readers, leave a comment for Leah and Mary... and be sure to get this book. It's as awesome as the author, truly. 10. The writing is beautiful. Rough and tumble at times, and sweet and poetic at others. It's just awesome. 9. Because you never know when you might be unintentionally dosed, but now you can be prepared. 8. There's this girl named Kristen who is a loon, and is certainly off her chopping block, but she's awesome. And her reactions to some things are just downright fantastic. 7. It's dark and gritty and emotional. And who doesn't love a good dark book in a sea of romances and fluff? 6. Fantastic characterization. From Eden, who this book focuses around, to the side characters, you will get a sense of ALL of them. 5. The humor. Leah has this perfect knack for putting in even the smallest bit of humor and comic relief at right the time, no matter how rough the situation is. I literally laughed out loud multiple times reading this and can quote from memory some of the funniest lines simply because their timing was superb. 4. The overall plot... the whole thing that's going on and the angle to suicide that Leah takes and just... all of it? Brilliant. Seriously. I have read nothing like it before. Seen nothing like it before. Hell, I haven't even considered it before. But now that it's in my head, I love it. It really makes me think, even months after having read the book. 3. The ending? You will not see it coming. And OH MY GOSH IT IS AMAZING. Maybe a little mean, because it's jaw dropping, but oh yes. It's a good one. 2. Boys! Hot ones! Emo ones! Gay ones! Evil ones! Ones with wings! Boys boys boys! No, seriously. This book has a royal flush in boys. Leah Clifford is an equal opportunity boy creator. 1. Frankly, I say you should. Also, Leah Clifford is awesome and adorable and charming and you should get her book. So she can write more. Because I need more. No, not want. Need. So there you have it. My top ten reasons to buy this book. It's out on Tuesday, so make sure you pick it up! Also, I hear the finished copy is gorgeous... strawberry red for the actual cover under the dustjacket? Yes please. I also bought a copy of Cryer's Cross to get signed at Lisa McMann's Dallas stop tonight, but it's still in my car and I'm too lazy to go get it. But it's signed. And it's pretty. And Lisa McMann is awesome and adorable and hilarious, and it was such a laid back, fun event! Here she is reading the first chapter of the book! And the indie bookstore where the event was at had this poster up behind the author area and frankly, Jessi and I loved it so we took a picture with it. So yeah, that event was fantastic! Hopefully she'll get to come back to Dallas on tour again soon and if you ever get the chance to go to a Lisa McMann signing, take it! And now, for a few announcements! EPIC CONTEST! First, Suzanne Young and Hannah Moskowitz are having an EPIC contest right now that is the Awesome Contest of Awesomeness and the prizes are... you guessed it... awesome. Check out Suzanne or Hannah's blog for what the prizes are but it includes ARCs... with THEIR commentary written in. These are seriously one of a kind, never have the chance to get them again kind of prizes so make sure you enter! It ends Feb 28 so don't delay! So that's everything for this week! Let me know what showed up in your mailbox! Engaging from the start, well plotted and intricate, and centered around phenomenally built characters, Clarity is a fantastic murder mystery with just the right amount of paranormal mixed in. A large cast of characters gives many suspects, and the constant reveals and twists shift the spotlight often. The pacing is spot on, the writing vibrant, and the finale bold and memorable. With a strong, well rounded protagonist, and defined confines for the psychic aspect, Clarity blends contemporary and paranormal in a stunning way. Clare (nicknamed from Clarity) is snarky and sassy, able to hold her own and puts up a brave front. But lingering underneath what is a well developed inner strength is a girl who wants friends, love and connection. She doesn’t dwell on this, doesn’t constantly focus on it, but its there and comes out at just the right moment to really pull the reader towards her. Her witty remarks and internal commentary really bring out her character and build her voice as something distinct and all her own. Within the town of Cape Cod, Clare’s family is ridiculed and outcast. Their psychic abilities are considered a sham, particularly since the family business is to give readings to tourists. Each with a different specific ability, Clare, her brother and her mom have an inherent bond that Harrington builds and brings up seamlessly. Clare is bullied at school, a target in general and overall, very alone apart from her brother and his best friend. There is a very clear line between her relationship with her brother and everyone else, yet that yearning for more is palpable. She goes through some tremendous personal growth and change, facing some very mature situations and handling it as best she can. She stumbles some, and loses her cool, but overall she maintains a solid air and presses on. There are moments of weakness and of boldness, and Clare is a very realistic, relatable, and likable character. Perry, Clare’s brother, is a womanizer but not a total jerk, and her best friend. The interactions between these two really brought out the best in both, but also the worst. The change in Perry, however, after being suspected of the murder, was rapid, understandable, and heartbreaking. Constantly, the evidence for and against him came up, alternating the reader’s opinion on whether it was him. Two sides of logic battle, leaving that possibility in the air no matter what dominant thought there was. Perry is very devoted to his sister, and this is a character I completely adored. His mistakes are so understandable, so easy to side with, but the overtones of if he killed someone skew things just right. Gabriel is also an extremely interesting, well handled character. While he is smoldering, Clare doesn’t become an instant idiot in his presence nor does she fall right into his arms. She holds her ground, keeps her head high, and doesn’t give right in to a guy who thinks the psychic part of her is a fraud no matter how hot he is. He has his own past and secrets he’s harboring, which come out at the ideal moment. He is as dimensional and fleshed out as Clare and Perry, and helps drive a strong part of the plot. Closing out the bigger side characters is Clare’s mom, who has a large role and completes this well done family unit. Her love for her children is clear, despite her faults, and while there is friction between Clare and her mother, their relationship is very realistic and handled very honestly. Justin is Clare’s ex-boyfriend who also plays a surprising role, and is another character readers will fall for, feel for, and want to know more about. Stephen, too, plays his part, showing up at just the right moments and helping to build the overall nature of Clare’s life before the murder. While he hasn’t outright bullied her, he’s never stood up for her either and watching these two toe that line as things get tenser with the murder investigation added another very real component. Adding to the overall great air of this book is the title. It has a few well planned out meanings, from being the name of the main character, to holding hints to the clairvoyance aspect, to also aiming at the clarity that comes with truly seeing people in new lights. From her new view of her brother and those around her as she unearths some shocking secrets, to realizing the harsher side of life, Clare has to face some very rough things in this book, but her final mental state and thought processes reflect that in a fantastic way. This plot is very in depth, very intricate, and perfectly played out. The mystery aspect is on par, giving clues at a steady pace but each leading in different direction. There is a constant shift in the spotlight for who might be the murderer, made worse as things heat up and progress. With plenty of completely unexpected twists and jaw dropping turns, not to mention some perfectly ended chapters that will keep the pages turning and the reader on the edge of their seat, Clarity comes to a fantastic climax and reveals the murderer at a key point. The wind down from the climax is quick, wrapping most everything up with this book while still giving a few hints for a next installment. There are some lingering things to muse over, but Harrington has truly left this book in a good place to be a standalone. There is a strong contemporary element to this story, from the very realistic and phenomenally done characters, to the uproar of the murder, to the setting itself. Harrington blends in her psychic world very well, giving it clear confines and construction. Things aren’t convenient just to suit the purpose of the book. Anything related to the psychic element has a clear course that led to it, and a cause and effect that results from it. Additionally, the word economy of this book is fantastic. While short in page number, it is packed with plot and character development, getting right to the point without flowery description and unneeded focus. This, combined with the overall blend between the contemporary and paranormal aspect, is weaved beautifully, bringing out the best of both worlds and making this something that a range of readers will enjoy. Gritty, intense and emotional, Leverage is a striking blend of friendship, bullying, and coming of age. With two stunningly well developed male protagonists and a setting that is easy for any reader to relate to and understand, there are some poignant and gutting truths presented throughout, both blatantly and subtly. Though upper YA in content and language, and holding some scenes that are hard to stomach, Leverage holds nothing back when it comes to realism and impact. Danny is a sophomore late for puberty and small in size, but a beast in the gym and on the parallel bars. Used to being pushed around and bullied, Danny does what he can to survive the day to day in a school run by massive football jocks. He is quiet but friendly, despite his large sense of self perseverance even to the point of a fault. Danny is able to see other points of view, and generally understands the meaning of being on a team and loyalty. Despite this, however, Danny’s weak and even hypocritical side is shown, fleshing him out into a multidimensional character. There are some scenes where he is admittedly someone to hate, but put in the setting Cohen has created and the build up to each of these events, his side is completely presented and understandable. Kurt is misunderstood on so many levels, coming from a heartbreakingly rough past. Holding plenty of his own demons and baggage, he is the epitome of a gentle soul that has been broken a few times too many. He is huge in size, and certainly has hints of a darker side and a temper but as with Danny, Cohen has created the perfect blend of hints of danger and a side to dislike without letting it overrun the redeemable, respectable, and honorable sides of him. Kurt has a stutter, and his self image is affected appropriately, but he still maintains a certain air about him that sets him apart from many of his peers, especially on the football field. The changes in his mindset throughout the book, sparked by the varying events, is captivating and engaging in a way not many authors can nail. There are several side characters that all have a powerful role in the book, some driving the plot more directly than others. The chain of events and snowball effect of things comes through strongly, and the back and forth between the different sports groups sets the stage perfectly. From the redeemable to the downright disgusting, each one is memorable in their own way. Throughout the book, there is a very strong reminder of the notion that it is easy to judge from the outside, but not so easy to do “the right thing” when actually in the rough position. The bullying aspect, mixed in with the prank war but certainly more dangerous than any normal prank, carries a strong part of this book and Cohen has beautifully weaved the stories of not only a prime target but someone torn between his teammates who lead the pack and not stooping to that level. The prime shifting point of this book is completely unexpected and grotesque, sending shockwaves through the reader that last for the rest of the book. The concepts of bravery and facing fears, along with a beautiful blurring of right and wrong, lurk constantly through the story. There are beautiful and memorable messages and impacts, both subtle and slap in the face worthy. Things keep a steady pace, some parts of the book progressing quickly before easing down and showing the full fall out and impact. While there is quite a bit of language, it isn’t for shock value or filler. Cohen’s intentions behind the use of every word is very clear, and has a strengthening effect overall. Admittedly, this is a very testosterone driven book, rapt with the male perspective but isn’t particularly sexual or even stereotypical in regards to boys. The focus of this book is on Danny and Kurt, and Cohen sticks to that endlessly and beautifully. From the steroids to the pranks to the final outcome, everything is, ultimately centered around these two boys and their responses and reactions to everything. No single event washes out the character focus, and watching the changes in both boys and their growing friendship is warming and encouraging. Cohen does a remarkable job making the dual perspectives different, both of them distinct and readable while still being clearly something individual. While it is exhausting to read Kurt’s constant stuttering, it serves its purpose in letting the reader know full force what things are like for him. There are some gutting and unthinkable scenes in this book, but they are written in a way that isn’t graphic despite how clear it is what is actually happening. With several explosive scenes and a few smoothly inserted and unexpected twists, Leverage grabs the reader from the first page and doesn’t let go even at the last one. With a soft but potent focused on right and wrong, and a lasting chain of events, this one shows many sides of human nature and differing personalities while throwing a shocking gauntlet at the characters. Cohen’s overall striking and beautifully developed characterization carries this book in a bold way, giving it a long lasting impact with lingering messages, presented in a very straightforward but effective way. 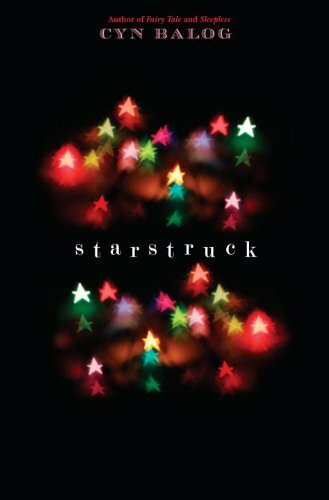 This week's pick is Starstruck by Cyn Balog, coming July 12 from Delacorte. My Thoughts: Okay first, I really love the "fat girl" angle of this one... but that it isn't just a story of self esteem. And I also like the concept that perfect god-like Wish might not be so naturally perfect. It definitely has undertones to plenty of realistic things while still having what is probably a fun and enjoyable air. Also, I love the names in this one. Wish and Dough. Come on. That's awesome. As for the cover, it's simple but catchy and though it makes me think of Christmas, I can see it fitting with this whole story. The supernatural kind of twist in this one while otherwise likely realistic is my kind of read, and I cannot wait for it! Here today to celebrate the release of her debut, Angelfire, is the charming Courtney Allison Moulton with a never before seen Will POV scene that is, of course, not in Angelfire. This is a scene I wrote a long time ago from Will's POV. The first of Ellie's flashbacks in Angelfire was originally the opening scene for the book, but was moved during edits. In that scene, her incarnation of the era is killed in battle, and as a character exercise, I wrote from Will's POV when he learns of her fate. Though he might be quiet on the outside or say something snarky here and there, he is truly passionate on the inside and his narration comes easily to me. All of the characters in this scene you will meet in Angelfire and learn even more about them in the sequel, Wings of the Wicked. I hope you enjoy this scene! The last time I held her in my arms was the last time she died. I feared for her, more afraid for her life than my own, because she was all that mattered. I could be replaced—would be replaced—but she was most precious in all the world. She was the only one who could save it. My eyes were shut tight and my jaw clenched, determined not to make a cry of pain. That would only encourage them. It would take a lot of damage to kill me, but that wasn’t their goal. Reapers were patient, for they had eternity to do whatever they desired, and many loved to spill blood just to watch it run. One of them grabbed a fistful of my hair and yanked me upright so that his yellow eyes could drive into mine. His mouth slid wide to show multiple rows of jagged, needle teeth. If the chains weren’t so tight around my arms, I’d have punched his face so hard those shark teeth would be shooting out the back of his head. I jerked against the metal to their limits, but halted brutally with Geir’s throat just out of reach. I was too weakened to break free of the chains and of the angelic spell cast into the pentagram drawn on the ground around me. My body would heal and then they would begin again, tearing me up until I was near death only to let me heal so they could start all over. I didn’t know how long I’d been in this barn. I didn’t know if it was night or day. And I didn’t know if she was still alive. I had to return to her. The reaper struck my face and blood ran over my eyes. I had to return to her. He stopped after some time, releasing me roughly, but I was so numb from agony that it made little difference whether he was torturing me or not. The closer I was to death, the less it hurt. My chest heaved painfully in order to breathe. One of my lungs had collapsed and its desperation to heal was even more excruciating than the initial blow that had damaged it. When my eyes were shut, I saw her face. When I opened them, blinking through blood, I saw Geir’s face. Ivar stood behind him, talking to Cadan. He wrapped a hand around her cheek tenderly for a moment before leaving the barn with her. Their show of affection for one another was alien, so untrue to their natures. They were incapable of love. They didn’t even know the meaning of the word. My teeth ground together as my heartbeat quickened with rage. Bastian had returned. He appeared from the Grim with a flash of black hair and shadows of power that made my skin crawl. I shivered and sank deeper on my knees, my knuckles dragging to the dirt floor. Geir moved aside as Bastian approached, the lesser reaper bowing out submissively. The yellow-eyed reaper hissed and moved to strike me. “Enough,” Bastian said in a low, calm voice. He didn’t need to shout for his thugs to obey. Often, one look was more than enough to send them cowering. It was painful straining to see Bastian’s face above me, waiting for him to start torturing me again. My mind raced as my pulse pounded in my head. I needed to eat in order to heal and escape and return to her. Hunger made my brain numb, but I couldn’t resort to what they would do to heal. I wasn’t one of them. I sensed the arrival of another reaper and a moment later, Ragnuk appeared through the barn door, his enormous bear-like shape silhouetted in the dim light. He was the largest Ursid reaper I had ever known—and one of the oldest. He lumbered in awkwardly, as if one foreleg was lame. When I saw the small form he carried in his jaws, my soul died. Her. His teeth clamped down on her body, puncturing her skin. Her clothes were drenched with dried blood, some of it still running. Her eyes were closed. I could see her, but I couldn’t feel her. She wasn’t there inside that body anymore. She was dead. Ragnuk brought her closer and underneath all of that blood I could smell her perfume. Her scent, the same scent of skin and jasmine I had known for centuries. She always smelled like jasmine. The torn up trousers and shirt hanging off her made her seem even smaller and more fragile. Her hair, like cherries and dark chocolate, was matted and thickly tangled with dried cruor. He dropped her limp form to the ground in front of me and I couldn’t breathe. I couldn’t even scream. I could only stare at her. It felt like a sledgehammer pounded into my chest over and over each time my heart took a beat. I had promised her I would protect her and I had let her die alone. She was all that mattered to me, all that I loved, and I had failed her again. Not again. My lips formed the shape of those two words, but my voice wouldn’t work. I didn’t respond. The hammering in my chest dragged me more heavily to the floor and my mouth opened to let out a silent scream as my eyes squeezed shut and my head hung low. She would come back. She would come back. I repeated that over and over in my head, desperate to drown out the reapers’ words. With a furious roar I summoned all the power I had left in me and let it explode, the flash of smokey shadows drowning my vision for a moment. I raised my fist over my head and brought it down, slamming it into the dirt floor with all of my strength. The earth roiled and groaned, and a crack rocketed through the pentagram, shattering it, uplifting rock and soil and spreading to the farthest edge of the barn. The walls shivered and wheezed and dust from the rafters above clouded the air. Wood cracked apart and metal equipment whined. I heaved against my chains, my power unbound at last, and the metal snapped like brittle bones. I swung the loose chain through the air and it wrapped around Geir’s throat. I yanked, dragging him down to me and my fist pounded into his temple and the other side of his face smashed into the dirt. I didn’t stop to admire the blood oozing from his mouth as he lay at my feet. I called my sword into my hand and swept it up, but Ragnuk ducked to the side as I surged past him. My attack on Geir destroyed any chance to truly surprise Ragnuk. The blade sliced deep through the Ursid reaper’s neck, shoulder, and side, grinding across his ribcage and spraying blood. The strike wasn’t lethal, but the tremendous roar shattering my ears assured me that it had hurt him like hell. Already wounded from his earlier battle, Ragnuk staggered and hit the ground as I rushed toward Bastian with my sword high. He vanished from my sight and reappeared directly in front of my face, his bright eyes boring into mine. His palm slammed into my chest with a blast of his power and the force sent me soaring backward through the air. My body crashed through the barn wall and I landed on the grass outside with a rush of excruciating pain as all the air expelled from my lungs. Wood and other debris settled on and around me. I lay there for just a moment, blinking my mind back into the present until I could breathe again. My sword was still in my hand and I sat up and looked around. Bastian was climbing through the hole my body had made high up in the barn’s wall and then he dropped to the ground, his white wings high over his head. He straightened and those wings vanished back into himself and he stepped toward me. I scrambled to my feet, my body aching to fight him, to tear him apart the way she had been torn apart, but my mind was screaming at me to run. I wasn’t strong enough to kill Bastian and if I were to stay, he would destroy me. If I died here tonight, I wouldn’t be able to protect her when she returned. Perhaps another Guardian would do a better job than I, but I didn’t trust any of them. It had to be me. I loved her. I had to be here when she returned and to protect her better than I ever had before. I wouldn’t let her die again. I forced back my instinct to fight and to avenge her death and I took my first step back, away from Bastian. Then I relinquished my sword and turned, compelling my body to move faster than I’d ever run in my life, to get away from the reapers, to escape, to ensure that I would survive until her return. She would come back and I would be here. I would be waiting. I would wait forever. And that, readers, is a little glimpse straight into the mind of Will. As if he wasn't already completely swoonworthy and amazing, what about this level of devotion and intensity? And for those of you who haven't yet read the awesomness that is Angelfire, now's your chance to win a *signed* copy of it! Contest is US only and ends Sunday, February 27. 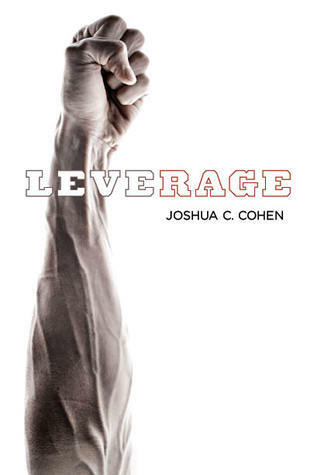 This week's teaser is from Joshua C. Cohen's Leverage, coming February 17 from Dutton Juvenile. There's an extraordinary price for victory at Oregrove High. It is paid on—and off—the football field. And it claims its victims without mercy—including the most innocent bystanders. Taking over today is Drought author Pam Bachorz to talk a little about what books her past self would recommend at ages 8, 16 and 24. Fun! Let's see, 8 year old Pam would have been in third grade. I would have recommended JAMES AND THE GIANT PEACH, I think. My second or third grade teacher read that to us and I was utterly spellbound. 16-year-old Pam would have recommended a book I still push today: ANNA TO THE INFINITE POWER by Mildred Ames. Cloning and dystopian YA way before its trendy time. If this book came out today, I think it would be a huge hit. Someone re-release this novel! 24-year-old Pam would have recommended anything by Chris Bohjalian, author of MIDWIVES and my favorite, TRAN-SISTER RADIO. Though I don't think TRAN-SISTER was out back then. Still, you get my point! Thank you, Pam, for those recommendations... some I've heard of, some I'll be looking in to! So what books would you guys recommend at those ages? Let us know! Also make sure you guys pick up Drought, out now! This week's hot boy is John Moorehouse, from Sara Bennett-Wealer's Rival. John is the football star and popular boy, hot and a little cocky, but he's genuinely caring and real. He isn't so caught up in his status that he is a jerk, and he sees who he wants to see. He's persistent, but gets hurt and shows it too. John gives a good name to football jocks, and his hotness factor isn't so intense that it's overbearing. He's the guy that is the total catch, from looks to personality and everything in between. He smiles. "Well, then it's [Homecoming] huge to me, too, I guess, at least as far as football goes. But the kind stuff? Not so much." "I would think you'd like getting picked out of the crowd like that. It means people like you." "All it really means is that they get to see me make a fool out of myself in a stupid cape and crown." I giggle at the image. "Now I hope you win it."